We talk to Jackie Bavaro about cracking the Product Manager interview, or any interview for that matter. Jackie has amazing tips from the hirers perspective on how you can make a big impact no matter what your situation is. Learn what experiences you need, how to make your existing experience translate, what a great Product Managment resume and cover letter looks like along with some essential do's and don'ts of interviews you wont want to miss. 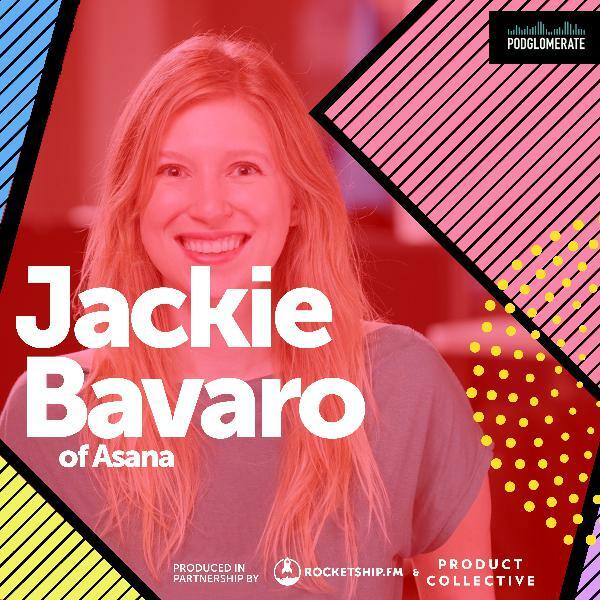 Jackie Bavaro is currently the Head of PM at Asana and the co-author of Cracking the PM Interview, the best selling book on product management (http://amzn.to/2dLr46H). She was Previously @ Google & Microsoft. A huge thank to our sponsor Hover. For Rocketship listeners, you’ll get 10% off your first order with code Rocketship, just go to hover.com/rocketship and use the code Rocketship. Well, we’ve taken quite a trip these past few weeks, haven’t we?This whole Blockland journey took us to quite a few places. Starting outside of Cleveland, in places like Miami, Puerto Rico and Las Vegas. Then into the boardrooms of Cleveland’s civic elite and to the Convention Center where Blockland’s Solutions conference took shape. Then the luxury car dealership where the architect of this whole thing makes himself at home.But, where does this journey take us all next? Not just for the listeners of this series, but the people in Cleveland who are on this Blockland journey?We’re going to try to figure that out today on the finale of this special series on Blockland. As we drive along this nondescript suburban street -- dotted with your standard fare of KFC’s and Pizza Hut’s and CVS Pharmacies, it seems like most other main suburban neighborhood thoroughfares here in Northeast Ohio. But as we pull in to the Mercedez Benz of North Olmstead dealership, I wonder to myself if everybody else knows that there’s something a little special to this place. I don’t mean the shiny glass structure itself or the ambient waterfall that cascades inside. That’s probably par for the course for any luxury car dealership. But… do people know that hidden inside this bastion of classy automobiles sits the biggest advocate of bringing Blockchain to Northeast Ohio?I do. Today we’re going to let the skeptics speak. Today we’re going to hear from people who are doubting the initiative. People who have questions. People who may not be buying into all that Blockland has to sell. As we're sitting here taking in the first ever Blockland Solutions conference, it’s pretty wild to see what’s unfolding. To many, it might not be that mind-blowing. It really seems like… plenty of other professional conferences. It’s in a nice convention center. The coffee and snack stations scatter abound. There are panels… and main-stage speakers. And a mix of suit-and-tie types and hoodie-clad, beard-faced technologists wandering around.Rocketship listeners, join us as I take you into the first conference ever put on by… Blockland. In the first few episodes of the Blockland series, we learned a bit about what the Blockland initiative was all about, why it started and who started it, and even rewound a bit to learn a bit more about Blockchain in general… and its impact on businesses.But today, we dive into Blockland, the initiative. There are so many tentacles to this so… it’s best you just buckle up and get ready… to enter… Blockland. Everpedia is the world's largest encyclopedia on the blockchain. It's decentralized, democratic, censorship-resistant and offers a financial incentive for those participating in creating and editing content. It also has a secret weapon. Wikipedia co-founder Larry Sanger joined the company in 2017, nearly 3 years after it's formation after spending much of his life pursuing a high-quality crowdsourced database of knowledge. Sanger said, "Everipedia is the encyclopedia of everything, where topics are unrestricted, unlike on Wikipedia. "Today on the show we discuss the evolution of Everpedia, how building on the Blockchain creates a better encyclopedia and what challenges they will face by allowing financial incentives into the crowdsourced knowledge eco-system. Blockchain is a system in which a record of transactions that are maintained across several computers that are linked in a peer-to-peer network.It’s a database or public ledger that can be used in a whole multitude of ways. And along with this overview of what it is, it’s probably useful to have a brief primer on the history of blockchain. Blockchain technology was first developed by the mysterious Satoshi Nakamoto. Satoshi Nakamoto is the name used by the unknown person or people who developed bitcoin, it’s the pseudonym that authored the bitcoin white paper, and created and deployed bitcoin's original reference implementation. As part of the implementation, they also devised the first blockchain database.Blockchain, as an industry, grew out of the bitcoin ecosystem when it was realized that the underlying technology that operated bitcoin could be separated from the currency and used for all kinds of inter-organizational ways. Almost every major financial institution in the world is doing blockchain research at the moment.The term Blockchain was coined, in its modern interpretation, by Hal Finney in an email exchange with Satoshi in 2008.We'll cover this and more in today's episode. By now you’ve heard all the buzz, and criticism, of Blockchain and Cryptocurrencies.The constant fluctuations of the Bitcoin market. One minute it’s going to the moon, the next it’s tanking and will never come back.This isn’t a story all about Bitcoin, because as Bitcoin and it’s siblings Litecoin, Etherium and the thousands of other alt-coins that have come and gone over the years, the underlying technology, Blockchain, is becoming the real star of the show with Banks and Financial institutions around the world researching how they can best use this technology.But the ecosystem itself is still a bit odd. What Satoshi Nakomoto handed over the to the world of Cryptographic Cyberpunks in 2009, 10 years later has become a booming, albeit volatile, industry.There’s an incredible story going on right now in Cleveland. But today on the show we’re going to take you behind some of the companies, governments, and communities elsewhere… all focused on Bitcoin and Blockchain technology. Something is happening in Cleveland, Ohio. A movement, unlike anything it's seen before, has taken over the city. Cleveland’s top business leaders, civic leaders, politicians and lawmakers, people running educational institutions have all dedicated to making Cleveland the Blockchain Capital of the world. And this initiative, as strange as it may sound, is led by none other than a local car salesman, Bernie Moreno. On season six of Rocketship.fm, we're taking you behind the scenes of a movement that's happening inside the civic buildings all over Cleveland, a movement to reposition this blue-collar city into a global technology center. Season six is the story of Blockland. One of the most import roles as a product owner is building the right product team. In part two of this two-part mini-series, we take a look at what high performing product managers and product leaders are doing inside of their organizations to manage and lead a high-performing product team.In this episode, we dive into the strategies that managers use to lead their teams successfully. It's not easy and we're not all Steve Jobs (although most of us think we are from time to time) so what do high performing managers from Facebook and Box do? That's the question we answer in this episode. Featuring Alison Go, PM at Facebook, Austin Bales, Director of Product Design at Facebook, Sam Goertler PM at Kickstarter, Ty Ahmad-Taylor, VP of Product Marketing at Facebook, Jeetu Patel, Chief Product Officer & Chief Strategy Officer at Box, & Sebastian Speier, Director of Design at Nike. We welcome Jeetu Patel, the Chief Product Officer, and Chief Strategy officer at Box to the show today. He leads the company's overall product and platform strategy, driving Box's long-term roadmap and vision for cloud content management in the enterprise.Have you ever wondered how companies like Box approach emerging technologies like machine learning and artificial intelligence? Well, today is the day you find out.He also gives amazing advice on building effective product teams, the magical number for the size of a product team, when and how you should decide to build a new feature and how Box guards against disruptors. Teresa Torres helps digital product teams adopt continuous product discovery practices including a regular cadence of customer interviews, rapid prototyping, and assumption testing. She emphasizes strong critical thinking a strong connection between what the teams are learning in their research activities with the product decisions that they are making.Mike Belsito interviews her today to discuss how teams can begin practicing continuous discovery, how to get buy-in from management and why the best product teams are talking to their customers every week (if not every day). It seems like all we hear about today is disruption, disruption, disruption. Everybody is disrupting something -- from Transportation to Hospitality -- all anyone wants to do is blow everything up.So what is the difference between Disruption and Innovation? Well, Disruptors are innovators, but not all innovators are disruptors.Disruption and Innovation are often different sides of the same coin. Today we explore how companies are approaching innovation and disruption in the Healthcare industry. We talk with Joshua Landry of Figure1 and Sasha Bhatia, the Director of Women’s College Hospital Institute for Health System Solutions and Virtual Care in Toronto. Why do you love the products you love? You may be tired of writing product stories and pitching product ideas that fall flat. Here we break down how to tell compelling product stories by understanding the basic of storytelling itself. Jack and beanstalk may not be part of your everyday standups, but its the perfect way to breakdown the essential elements of a story. From screenwriter Michael Jamin to Product Manager and former Technical Director at Pixar, Josh Anon, we show you how you can use basic story writing techniques to better convey product ideas, initiatives, and marketing. Jobs to be done will change the way you think about a product. It will change the way you approach user personas and influence your product decision process. It is one of the most important developments in product thinking in our time, so today we're going to dive right in.In this episode we talk with Jeetu Patel of Box, Bob Moesta co-creator of the Jobs to be done framework, Benedikt Lehnert of Wunderlist (now Microsoft) and Eric White.The theory of jobs to be done was developed in part as a complement to the theory of disruptive innovation. But disruption theory doesn’t tell you how to create products and services that customers want to buy. Jobs to be done theory does. It transforms our understanding of customer choice in a way that no amount of data ever could, because it gets at the causal driver behind a purchase. In the second and final episode of our look at Books.com, we discover what happens when Charlie Stack is faced with competition from Amazon.com and a multi-million dollar buy out offer on the table. We also learn more about what Charlie is up to currently and how the Books.com legacy has lived on. The year was 1992. The location… Cleveland, Ohio. The birthplace of online commerce. That’s right. Cleveland Ohio. Not Silicon Valley, Not San Francisco. Not even Seattle Washington. This is the story of Books.com, the internet’s very first e-commerce store, its founder, Charlie Stack, a lawyer-turned-self taught software developer — and what happened when they created internet history… and later… faced a new entrant in Jeff Bezos and Amazon.com.